Since the launch of our most recent campaign, SEA LIES, I have connected with those working for the protection of cetaceans (whales, dolphins and porpoises). We haven't worked directly in this field during the years I have been with the organization I now front and so, for me, many of the great people I am now in contact with are new to me. With the exception of one or two that I have come across (and please do correct me if I am wrong in the comments section below), I have been interested to find that there seems to be a strong crossover between marine conservation organizations and campaigners working to end cetacean captivity. 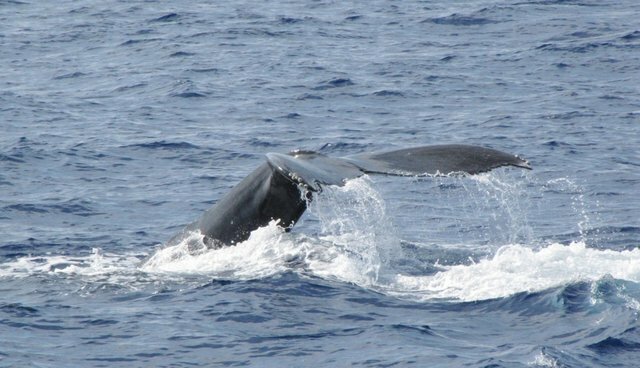 Many organizations focused upon the conservation of whales, dolphins and porpoises in the wild also actively campaign against, or at least have a publicized opposition in principle to, the keeping of cetaceans in captivity. This may seem like something of a "no brainer" to those reading this; we know that cetaceans are complex, social, far ranging and intelligent animals and it stands to reason that keeping these animals in a swimming pool is not only a grossly inadequate attempt to meet their needs but, many would agree, is a form of abuse in itself. Of course the issue of orcas in captivity has been brought to the fore in the last year thanks to the incredible documentary, "Blackfish." This has undoubtedly had a profound impact on people's perceptions of the operation of those sites that do continue to keep dolphins and whales in this way. But while a love and concern for the preservation of cetaceans in the wild may logically lead to a rejection of their keeping in captivity, this does not always seem to follow when we consider the conservation and captivity of other species. While there are a growing number of people who, like me, believe that holding wild animals captive in zoos and aquariums is unacceptable, there are still millions upon millions of people that visit zoos each year. Indeed, a number of conservationists and NGOs focused on preservation of natural habitats actively support zoos. So it seems that, increasingly, those that have a love and respect for whales and dolphins would not only avoid, but actively boycott and even campaign against, marine parks which hold those animals captive. Yet those that have a love and respect for, say, elephants, might happily spend their Saturday visiting the zoo to look at one. But is the captivity of an elephant so very different to the captivity of an orca? Is the captivity of a big cat completely distinct from the captivity of a bottle-nosed dolphin? Should the captivity of a polar bear raise the same concerns as the captivity of a Beluga whale? That's what I would like to consider in this post. 1. SeaWorld has violated the Animal Welfare Act multiple times. This point refers to the U.S. Animal Welfare Act but violations of this law (and other legislation linked with animal welfare around the world) are not limited to SeaWorld. For example, following an investigation by the Humane Society U.S., Collins Zoo in the United States had its license revoked following the identification of 22 violations of the Animal Welfare Act. In Spain, the European Commission was forced to take action as the country failed to implement legislation designed to manage zoos. A press release published in 2011 stated that "Spain has not provided the Commission with sufficient proof that a number of zoos are being managed in line with the EU requirements, in particular with regard to licenses, inspections and procedures for zoo closures." In England, a 2011 study commissioned by my organization showed that substandard zoos which persistently failed to meet legal standards were allowed to continue operating with no attempts by the relevant authorities to sanction them. Indeed, it was found that, over the period of the study, almost 90 percent of English zoos had failed to meet legal obligations at some point. Of course, not all zoos break the law, so let's see if any of the other reasons to boycott SeaWorld might apply to the wider zoo industry too. 2. SeaWorld separates orca calves from their mothers (and then claims that it doesn't). Separating animals from their parents is standard practice in zoos as individuals are moved around as part of breeding programs. Some animal species may naturally disperse from their maternal group at a particular age in the wild but others form strong bonds and remain within their family for life. This is particularly true of female elephants, for example. And yet in zoos, there is no possible way for elephants to experience their natural family groups, which might number up to more than 20 members from different generations. 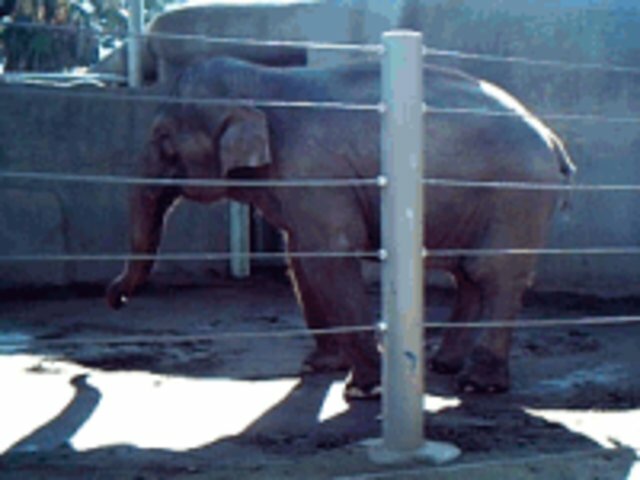 In zoos, many elephants are not only separated from their mothers and wider family but some are forced to live alone, with no company whatsoever. See here for a list compiled by NGO, In Defense of Animals, for a list of US zoos and their poor treatment of the elephants under their care. 3. SeaWorld runs an orca breeding program that shows little regard for cetacean health. In this point against SeaWorld it was argued that, not only did SeaWorld force orcas to breed at a very young age -- long before they would naturally mate in the wild -- but that the gene pool is now so limited in captivity that inbreeding is commonplace. But SeaWorld is, once again, not alone. Photo source: By LaWanna Mitchell via Wikimedia Commons Deliberate inbreeding of animals happens in many zoos. Indeed, any zoos which house white lions or tigers are likely to be complicit in this practice as these are animals are necessarily inbred to guarantee their unusual coloring. "All white lions are derived from a single small population discovered near Kruger National Park in South Africa. The white coat color is caused by a recessive gene and the animals are known as leucistic. Leucism is seen among mammals, fish, reptiles and birds, but is only expressed in homozygous recessives. White lions are therefore by definition inbred, and since they all derive from one small founder population, progressive inbreeding can be expected to lead to a number of aberrant disorders like skeletal deformities, immune system deficiencies, digestive problems and neurologic conditions. In South Africa, lion breeders intentionally inbreed lions expressing the white coat color for trophy hunting and for international sales and a number of zoos around the world have bought them. Because white lions are purposely inbred, zoos should not have them in their collections. They might be "cute" but contribute nothing to increasingly urgent conservation needs of their tawny relatives in the wild." See more here. 4. SeaWorld stole baby penguins from their colony in Antarctica. Taking animals from the wild to stock zoo exhibits is something which people nowadays see as unacceptable and, indeed, most zoos breed their animals "in house" rather than taking from the wild. The major exception to this is aquariums which, due to the difficulty of breeding many species of fish in captivity, continue to plunder the oceans to fill their tanks. A 2004 study showed that nearly 80 percent of animals in UK aquariums were thought to be wild-caught. More recently, the world's largest aquarium brand, SEA LIFE, has pointedly refused to admit how many animals it has taken from the sea. Some members of staff working for the company responded to questions on the issue with outright lies; claiming that no animal is ever taken from the wild as the company deems this to be "cruel." We continue to seek answers as part of the ongoing SEA LIES campaign. 5. SeaWorld shows little regard for worker safety -- in fact, they lobby against it. While I am unaware of any zoos actively lobbying against improved worker safety, there are a number of cases which suggest that the industry needs to get its house in order on this front. In the last few days, a Spanish zoo has faced criticism as a worker was shot with a tranquilizer gun by a vet as part of an apparently routine "escape drill," where staff practice what to do in the event of an escape. 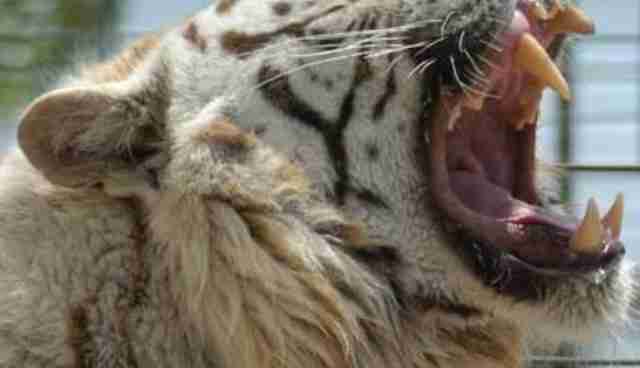 Last year in the UK a young zoo worker was tragically killed by a tiger at the zoo where she worked. 09 May 2014 Dramatic video shows wolf attacking small girl in Belgrade Zoo. Girl ended up with back injuries but is recovering. And it's not just workers. Just a few weeks ago a toddler was attacked in Belgrade zoo by a wolf which was being paraded around the public access area of the zoo on a leash. Thankfully the infant was not badly hurt. Many zoos also host animal encounters which are high risk -- to both the animals and those handling them. Even those animals not typically considered dangerous can inflict serious injury; a point demonstrated when a tapir attacked a young child at Dublin zoo recently during an animal encounter experience. 6. SeaWorld drugs their animals -- even when they're nursing -- against accepted veterinary guidelines. This point raised concerns that orcas at SeaWorld were given drugs to combat their abnormal behaviors (caused in large part, it is thought, by captivity). Evidence of the use of anti-depressants on zoo animals is not limited to orcas. Last year, penguins in U.K. aquariums were allegedly given anti-depressants to help them cope with the long British winter and the administering of anti-anxiety and anti-depressant drugs to animals in zoos is by no means a new a practice and, in fact, dates back a number of years. This is perhaps unsurprising as animals in captivity frequently show signs of mental distress; to the extent that these negative behaviors can even be classified as mental illness. A short documentary on these behaviors, known as stereotypes or "zoochosis," highlights this issue in some detail. 7. SeaWorld profits off keeping orcas and other marine animals in captivity. Zoos around the world profit from keeping wild animals in captivity. So what do you think? Is SeaWorld really so different to any other zoo? I, for one, am delighted that people are really beginning to question and oppose the keeping of cetaceans in captivity and wholeheartedly agree with all efforts to expose and boycott SeaWorld. While the company is deserving of the criticism is it receiving, let us look beyond this one company and towards the plight of all of the wild animals currently held captive in zoos and aquariums around the world. Just like the whales and dolphins, they don't belong there. Just like the whales and dolphins, they deserve to be free. I look forward to the day when care and concern for the preservation of all wild animals and their habitat go hand-in-hand with opposition to their captivity. Those of us campaigning for that cause are steadily growing in numbers but we have a long way to go. I hope that you will consider joining us.